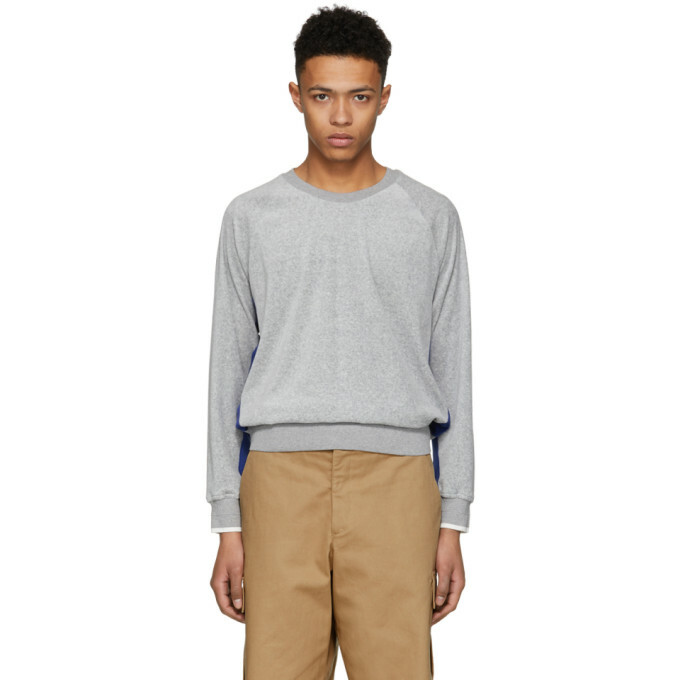 Long sleeve velour sweatshirt colorblocked in light grey and blue. Rib knit crewneck collar and hem. Raglan sleeves. White stripe at rib knit cuffs. Tonal stitching.